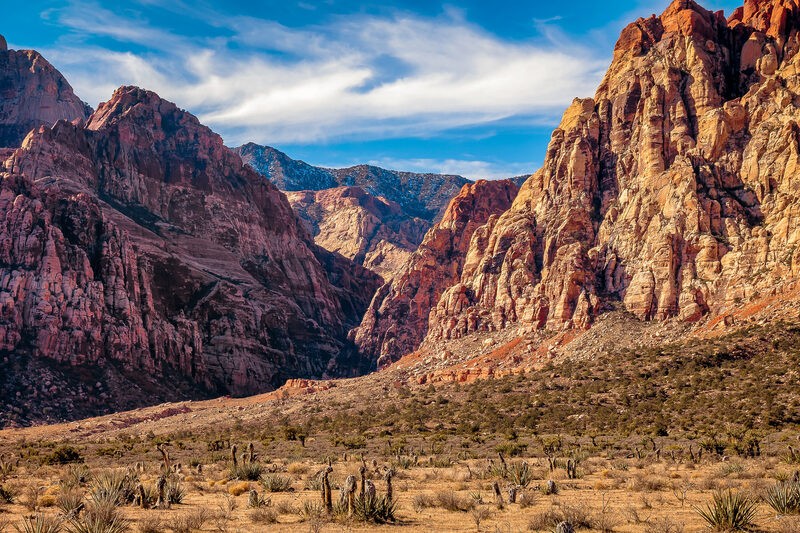 Rugged landscape rises from the desert floor in Nevada’s Red Rock Canyon. 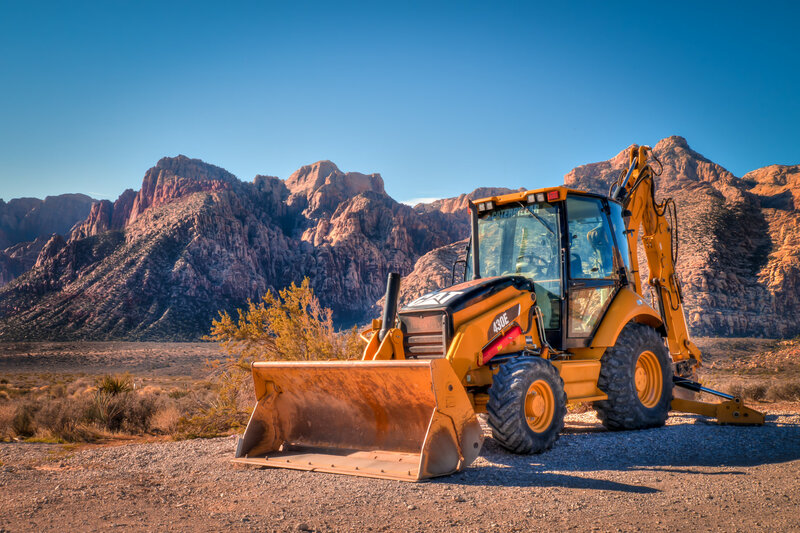 A front-end loader sits in the Nevada sun at Red Rock Canyon. 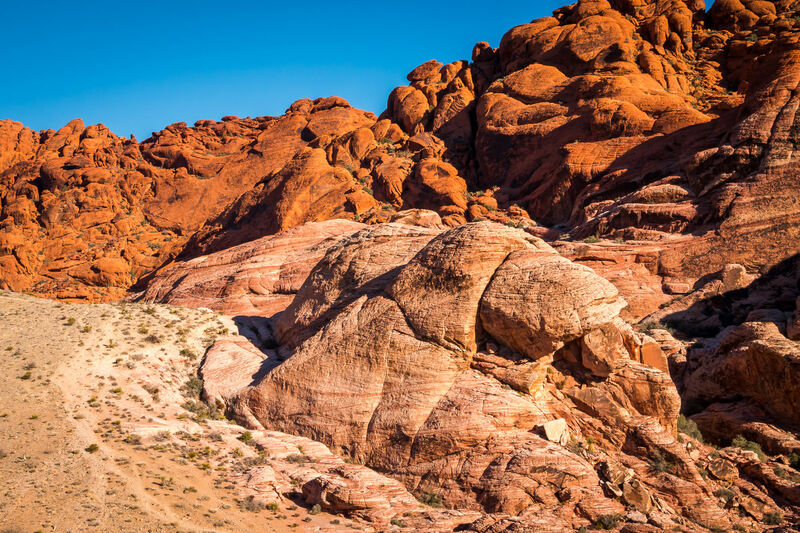 Namesake rocks at Nevada’s Red Rock Canyon National Conservation Area. 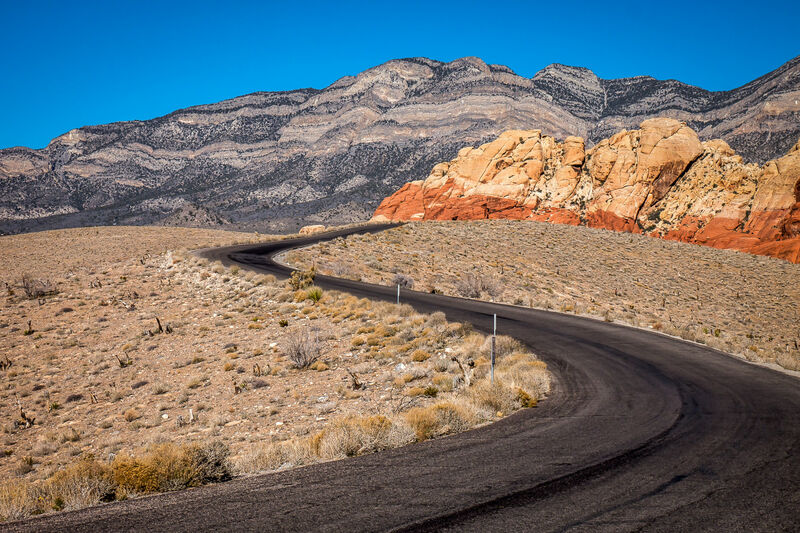 Red Rock Canyon National Conservation Area‘s Scenic Loop Drive snakes through the Nevada desert. 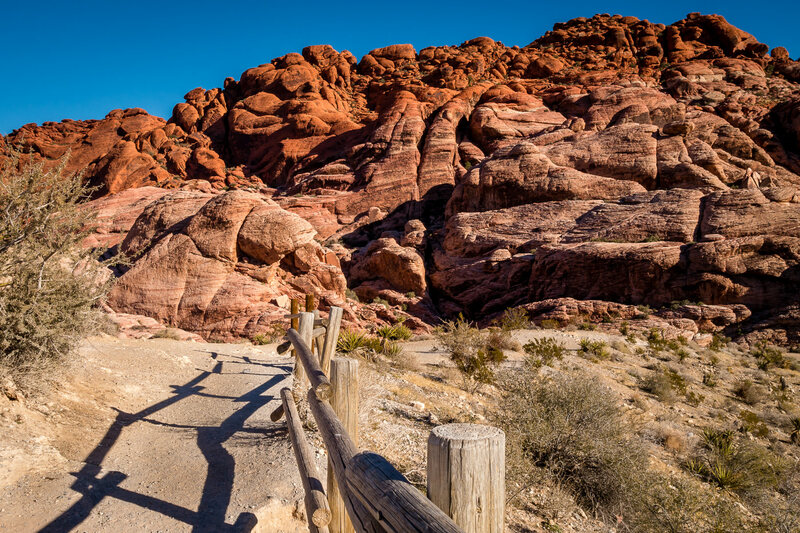 A fence meanders towards a rocky outcropping at Red Rock Canyon, Nevada. 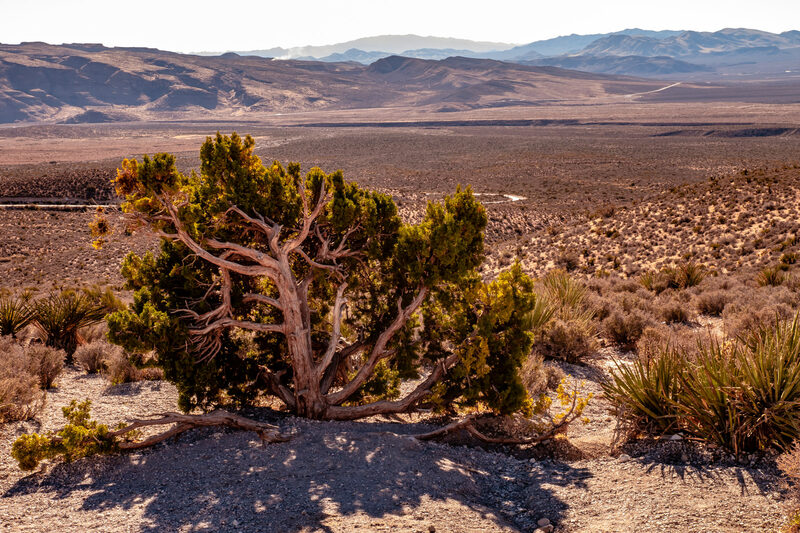 A twisted tree withers in the desert sun at Nevada’s Red Rock Canyon. 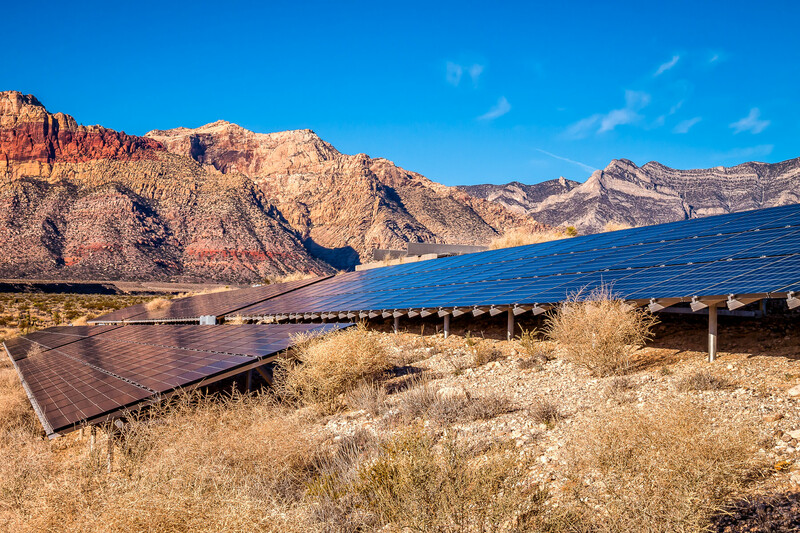 Solar panels provide electricity to the Red Rock Canyon Visitors Center, Nevada. 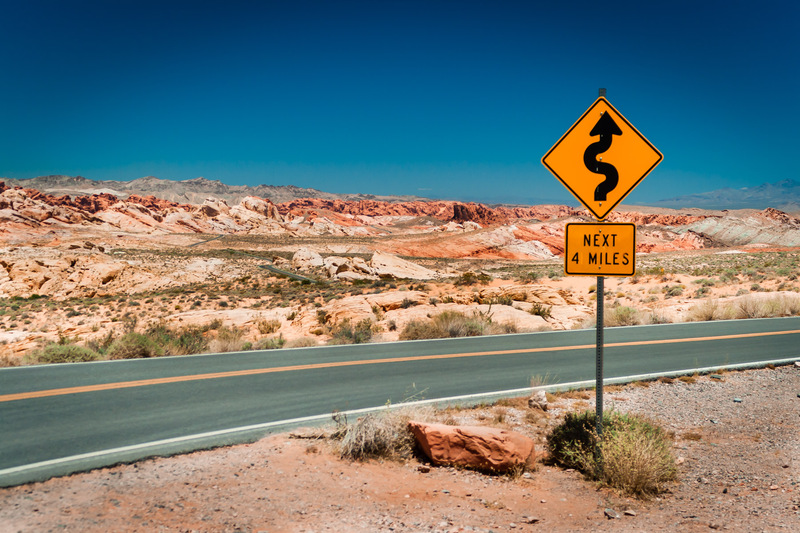 A road sign warning of curves ahead in the Nevada desert somewhere east of Las Vegas near Lake Mead near Hoover Dam. 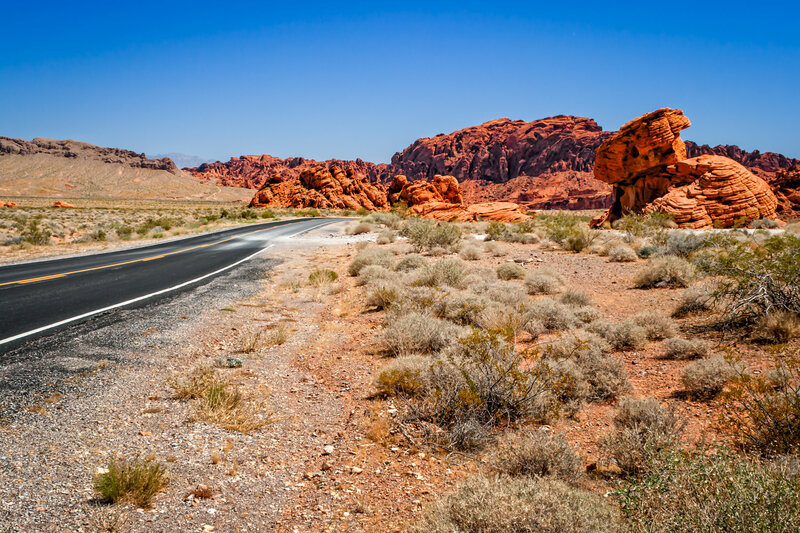 A road carves a path through the barren desert landscape of the Valley of Fire, Nevada. 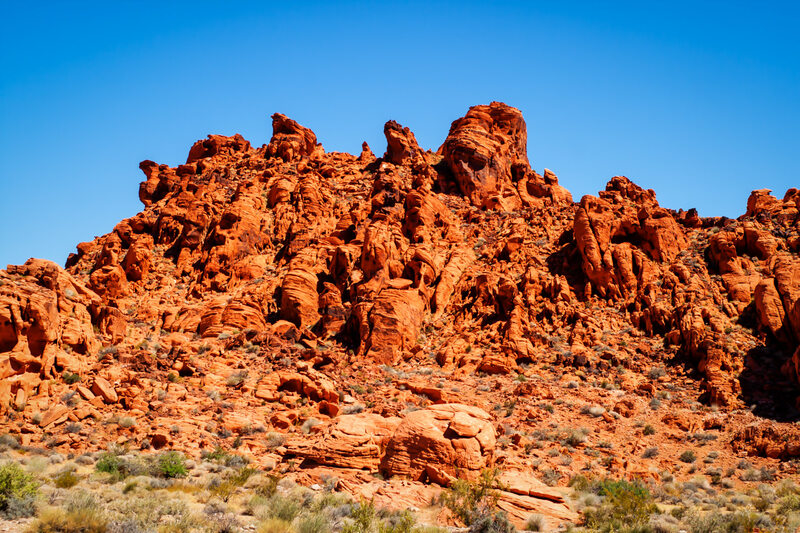 Red rocks rise from the desert at Valley of Fire, Nevada.